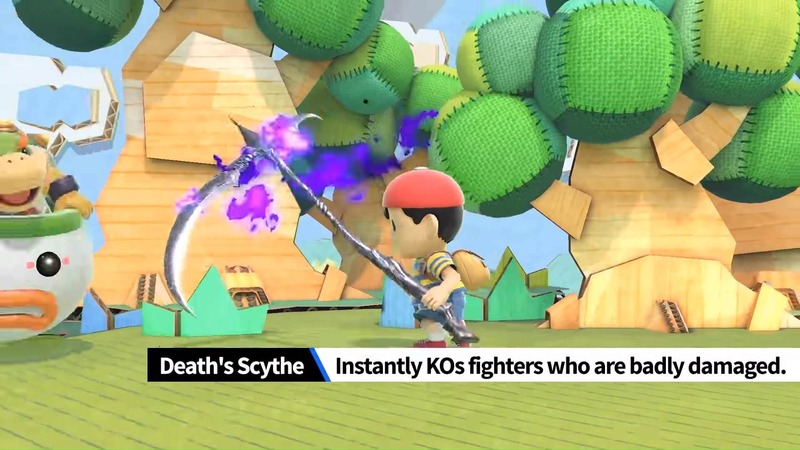 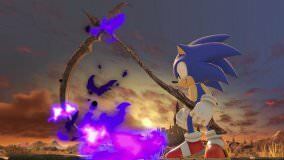 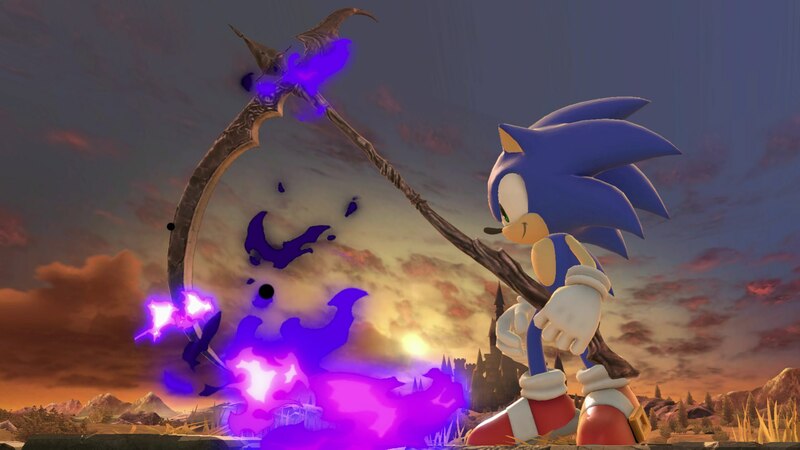 You can KO highly damaged opponents with a well placed smash attack from this scythe. 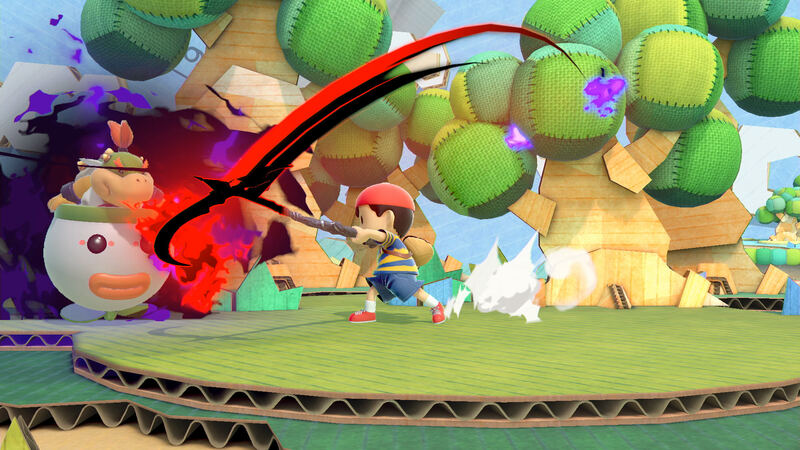 A black aura will surround your oppponent right before you attack, signaling an instant KO! !